If you’re missing teeth and choose not to replace them, you’re putting yourself at risk for bite problems -- as well as an altered facial appearance, which often makes people look older. When you’re missing teeth, the remaining teeth will shift and move to try to fill in the gap -- or even grow upwards or downwards if there isn’t an opposing tooth. Dental implants are a comfortable, long-lasting option for replacing missing teeth. They allow you to bite, chew, smile, and speak with ease -- all while looking and feeling just like natural teeth. A dental implant is made up of three components: a titanium screw that embedded and fused into your jawbone; an anchor (or “abutment”) that’s torqued into the implant; and a crown that’s cemented or screwed onto the anchor. 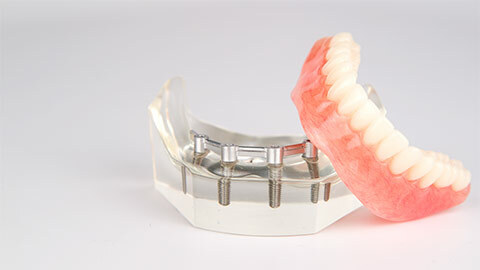 Dental implants can also be used to anchor dentures, especially for patients with very resorbed jawbones. 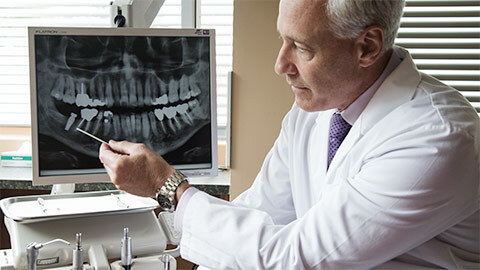 We work closely with dental specialists who will place the dental implant surgically. After a healing period of a few months, a crown will then be fitted for the implant at our office. 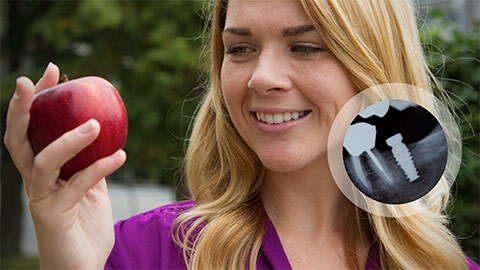 Dental implants can be life-changing for patients who are missing teeth. If you’re missing one tooth, multiple teeth, or all of your teeth, we encourage you to talk to us about them. If you need more information about Dental Implants in the Quad Cities, contact us today.